Outstanding, prestigious and exclusive are just a few ways to describe this new, luxurious concept. 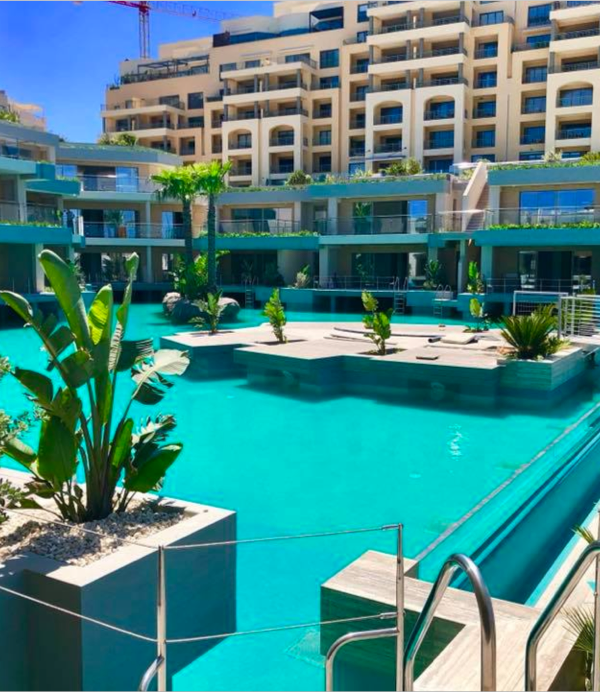 Forming part of Malta’s most prestigious and elite, high end residential complex, The Portomaso Laguna Apartments means the construction of a luxury two bedroom and three bedroom apartments and the lagoon in-front and below the ground floor. The project is situated at St.Julians, Malta, on a superficial site area of 7,300sqm with 44 apartments built over 7.560 sqm floor area and approx. 1000 sqm of terrace area. Portomaso Laguna Apartments is foreseen project as a low-lying residential development whereby one can access a swimmable lagoon from their apartment/bedroom and swim out into the lagoon. The lagoon is a central feature of the overall design. The apartment terraces are all oriented to the lagoon and Marina. The lagoon is planned to accommodate 3 artificial Islands and incased planters planted with Mediterranean trees offering shaded and tranquil place for relaxing and socializing. “The sea water and exposure to the sun and fresh air are quite beneficial for our well being so this project should be the relaxing and inspirational spot in Maltese Island and Mediterranean. Research shows that the sound of waves alters wave patterns in the brain calming you into a deeply relaxed state. Relaxing in this way can help rejuvenate the mind and body. Sea air is charged with healthy negative ions that accelerate our ability to absorb oxygen.